This post is part of my 10 week Christmas planning series, you find the more posts in the series here. Our theme for Christmas this year is kraft with a touch of mint. 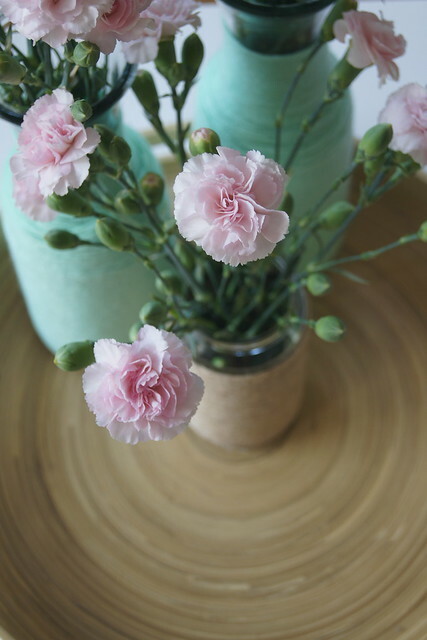 I am really into fresh flowers at the moment so want to have some on the table for Christmas. 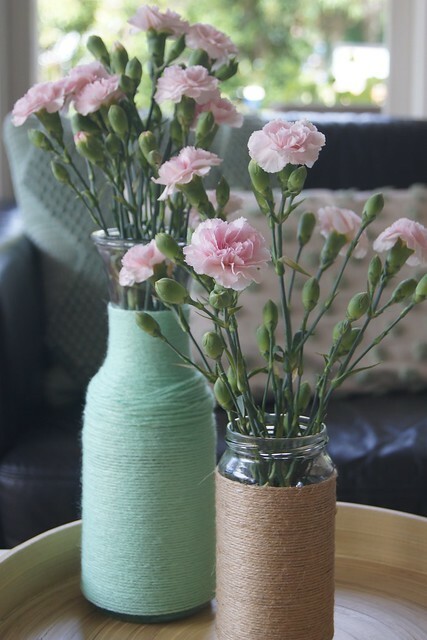 To add a touch of mint to the table, I decided to decorate very simply a couple of carafes that I like to use for vases. 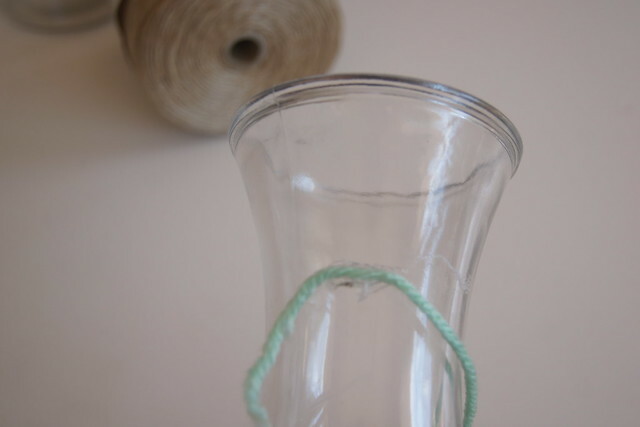 I used our hot glue gun to place a small amount of glue towards the top of the vase. 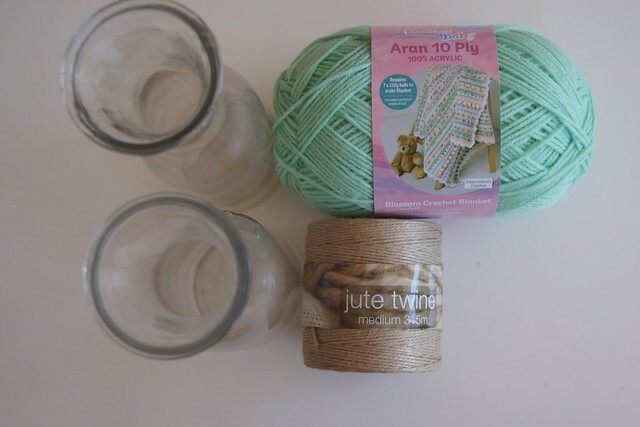 Pressing the wool gently into the glue, I then started to wrap the bottle with the yarn. 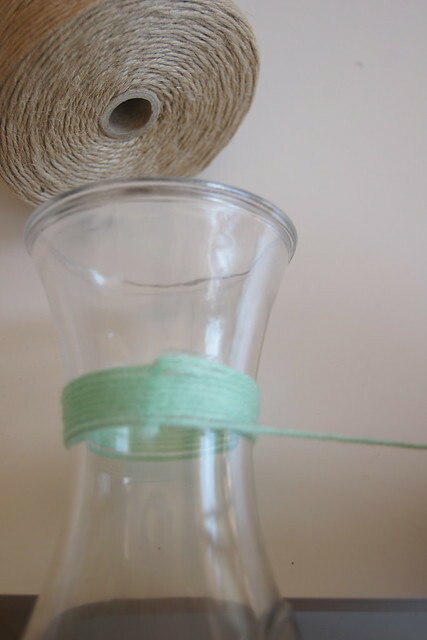 You wrap the wool tightly around the bottle, giving it a gentle push up to ensure there is no gaps. 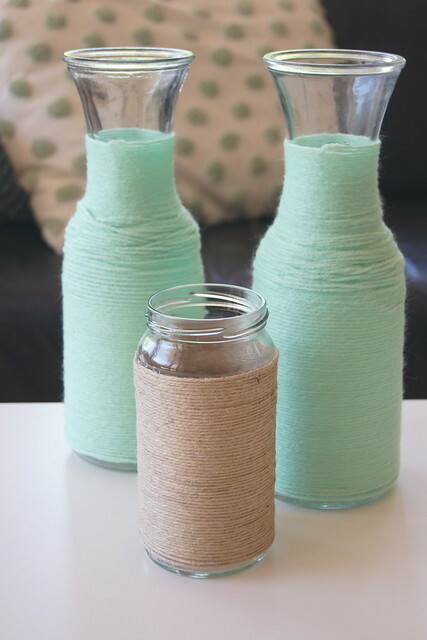 You continue this until you reach the end of the bottle, where you place another spot of glue and then cut the end of the wool, to neatly finish the process. 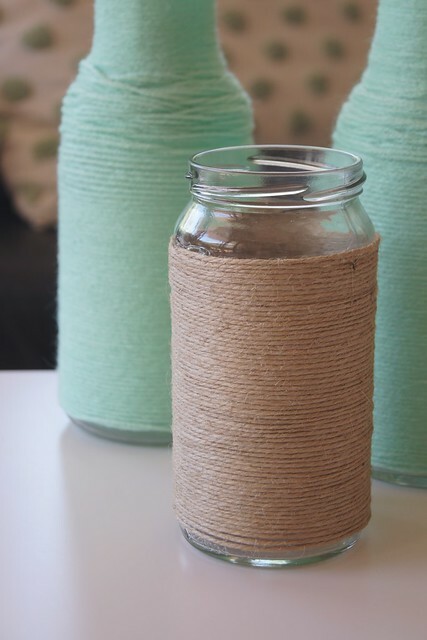 I actually found the twine easier to work with as it is stiff and stays in place easier. The larger carafes took approximately 45 minutes but I was working with an injured hand, so you could do them even quicker I imagine! Then you have a vase to match your colour theme for the Christmas table! 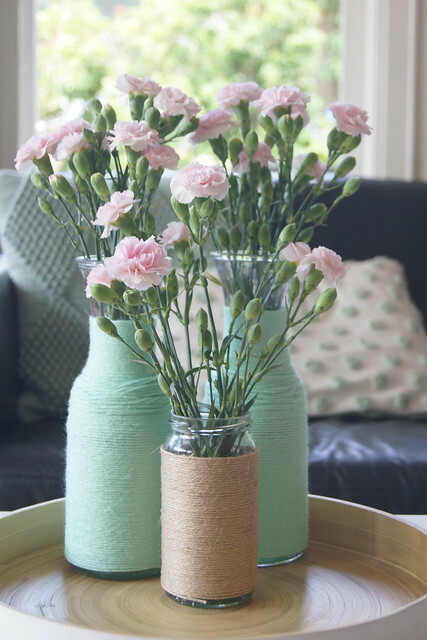 You could cover the entire vase or jar but I opted to have some space at the top and bottom. And here are some more ideas on easy DIY Christmas table decorations. If you know your table is going to be full, this wreath chandelier from Good Housekeeping is a great idea. Using wool or twine, you can make these Christmas trees in colours to suit your theme – from Fynes Designs. Add some greenery through nature to your table – from Lauren McBride. A super cute way to set and decorate a table for the little ones – from Simply Sweet Soirees. Choose your favourite Christmas song and turn it into a table runner with this tutorial from View from the fridge.